We are located at 6374 Rt. 13/Lankford Hwy, New Church VA 23415, on the southbound side of the highway. Since 1978, we have operated a full-service garden and landscaping center located in New Church, VA right on Rt. 13 Lankford Highway in rapid growing Accomack County. 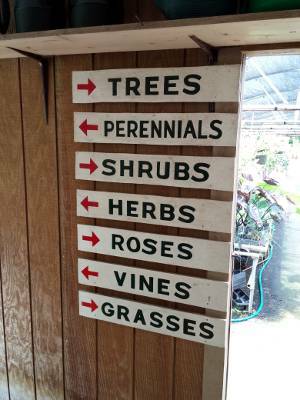 We stock one of the widest plant, shrub and tree inventories on Delmarva. And our quality is unparalleled on the Eastern Shore. We buy only from reputable honest wholesalers, whose stock is rich and hardy. When you leave our lot with your purchases you can leave knowing that you have bought the best on the Eastern Shore.